It has often been remarked "no feet no horse" and it is equally true to say "No teeth no horse". As horses are now living longer and as we have more and more "Geriatric" horses it is important to understand the dental needs of older horses. Horses have a different type of tooth to humans, one that is designed to wear down over time, so the teeth of horses have a lifespan and as horses reach their twenties and thirties their teeth will begin to wear down. 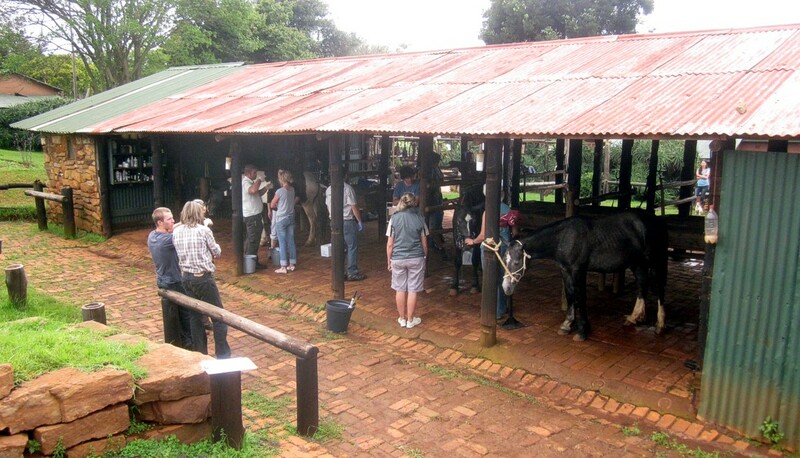 The surface that is then available for the horse to pick up food , chew and grind is often very poor, so one of the most important aspects of geriatric dental care is to ensure your horse has a good grinding surface going into old age, in other words don't wait until you have an old skinny horses to think about looking after its teeth. The wear that occurs is unlikely to be regular so overtime some teeth maybe very tall or very short compared to the teeth around them, this has flow on effects for rest of the horses mouth and can cause difficulty with chewing and grinding. 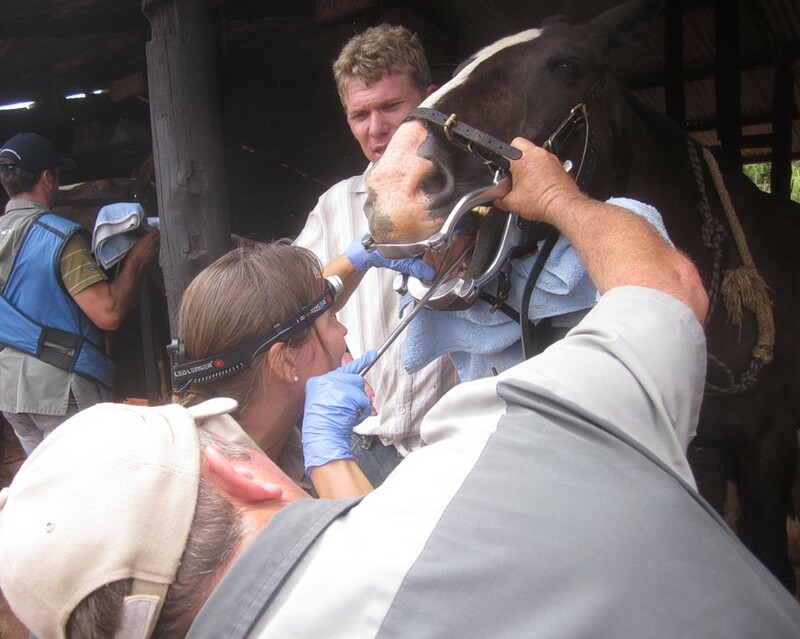 The most common disease affecting horses is periodontal disease (gum disease), this disease is complex and will be the subject of a future article. Periodontal disease causes premature tooth loss, tooth mobility and pain and its effects are at their most devastating in older horses. Again the best treatment requires early diagnosis and intervention as well as regular dental checkups from your vet. As horses age , just like people, there are changes in their metabolism and their ability to store fat and maintain muscle changes. It is for this reason that older horses tend to be more seriously affected by dental disease than other age groups, they are operating on the limit of their ability to consume and digest food and so there is often no capacity to cope with changes caused by dental disease or pain. Despite this any treatment of older horses needs to be conservative, the goal is to make them comfortable and make the most of the grinding surface they have left. 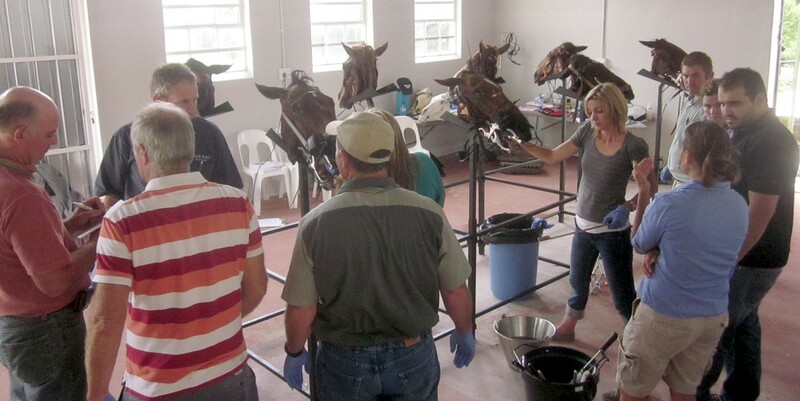 Small changes may make a big difference to the comfort of your horse so vets generally recommend ore frequent examinations for this age group ( at least twice a year). It is important to remember that there are lots of causes of weight loss in older horses and for this reason your horse may need to undergo other testing or procedures to determine the cause or causes. Common tests your vet may wish to perform include blood tests, faecal egg counts, biopsies etc. Many older horses suffer from Cushings disease or hyperadrenocorticism, this disease is usually as a result of a benign tumour of the pituitary gland. Horses affected by Cushings often have a curly coat, suffer weight loss, have increased thirst and may have difficulty with wound healing. This is important because it means that if your older horses suffers from Cushings and has untreated dental disease, the wounds caused by that disease may be difficult to treat. There is no cure for Cushings however medications are available that help with management of the symptoms. An example of a dental problem in a Cushings horse can be seen in one of the pictures attached to this article. One of the first signs you might notice that your older horse has a dental problem is quidding, this is when a horse balls feed in its cheek s to protect itself from pain. If your horse quids, or has unpleasant breath, washes its feed in water or drops an excessive amount of feed consult your vet. Older horses are more prone to developing calculus ( a mixture of bacteria, food and saliva) on their teeth and this should be removed on a regular basis, your vet may also suggest applying an antibacterial solution to the teeth and even brushing them to prevent this build up and promote healthy gums. Recently a form of periodontal disease known as Equine Odontoclastic Tooth Resorption & Hyperceentosis ( EOTRH) has been identified. It is an aggressive for of periodontal disease affecting older horses and no cure is available, however there is much your vet can do to prevent pain and suffering for an affected horse. 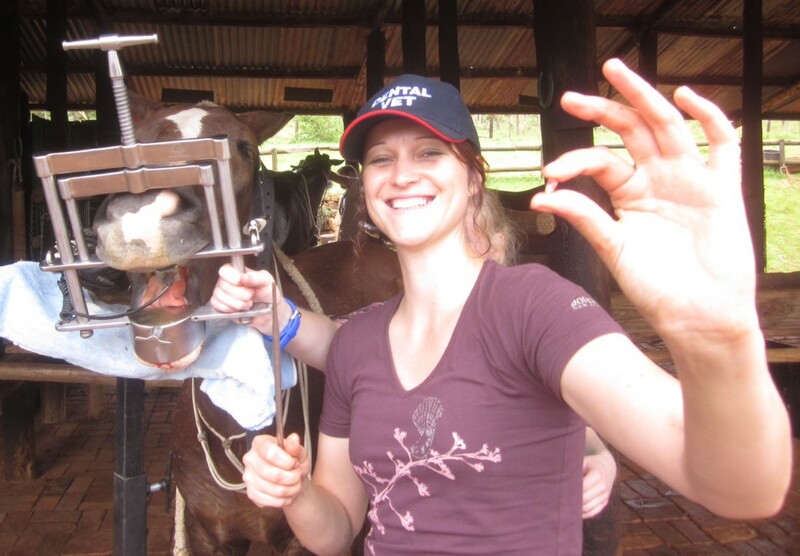 So in conclusion, remember that dental care is a very important part of health care for all horses, but is particularly important for older horses. 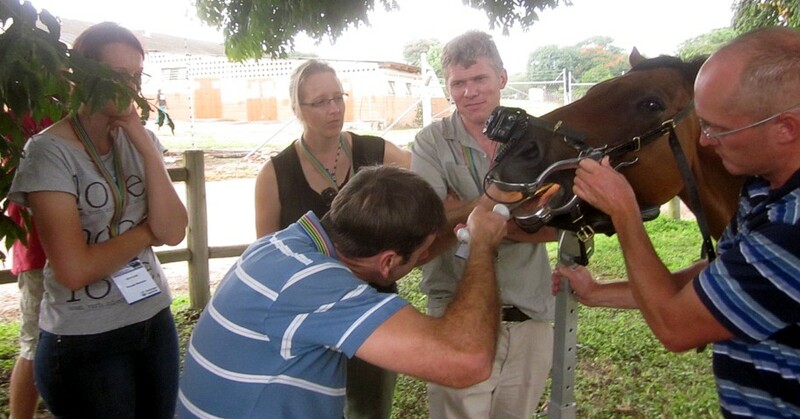 Schedule regular dental examinations for your horse and start early for best results.